With a fascinating combination of culture, history, geography, endless sights, historical attractions and a unique, leisurely enjoyment of life, Italy is commonly recognised as one of the most attractive countries in the world to live. If you’re considering moving to Italy, you probably already know you will experience plenty of gesticulating and kisses. Also, things generally happen at their own casual pace, regardless of schedules and your own personal sense of urgency. 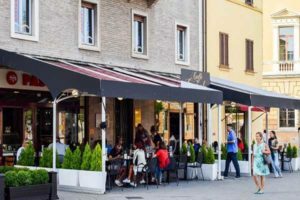 There are, however, lesser known and more surprising aspects of living in Italy that often lead to missteps by expats. 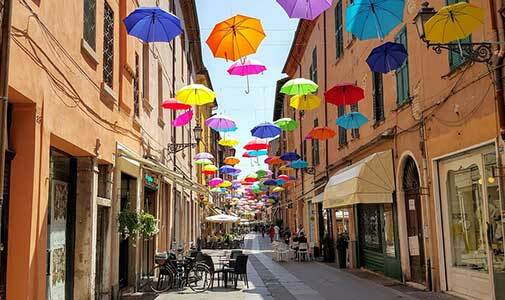 Below I tackle the common mistakes new expats make when moving to Italy and how to avoid them. 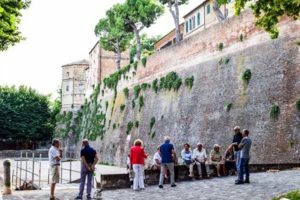 Although English is seen as a universal language, it’s easy to assume that it will be enough to get you through most interactions in Italy. But, while that may be true, it isn’t an excuse for not learning Italian. 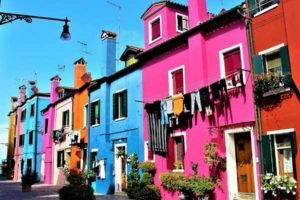 The Italians generally do speak English at various levels of proficiency, but there is a world of difference between addressing them in a foreign language and speaking in Italian. Speaking Italian, even badly, will help you embrace the culture of your new home and help you integrate more quickly. Only speaking English, or a foreign language, will limit you to a relatively narrow circle of acquaintances and keep you an outsider in your new surroundings. Also, on occasion you will need to deal with Italian bureaucracy. Knowing the language will make the experience a lot less painful. Simply through the virtue of your shared experiences, you will be drawn to other expats. It is perfectly natural, and we all tend to gravitate towards certain people who are having a similar experience to us. However, maintaining a circle of friends exclusively made up of expats is a mistake. Staying within the expat bubble will leave you dependent on a narrow circle of people, who may not be there on a permanent basis. More importantly, it will keep you from fully embracing your new surroundings and a culture that’s warm, gregarious, open and welcoming. Italians are generally a lot more tightknit than people in other Western countries, and there’s a special charm in getting to know your neighbours and becoming part of the community. Attending local language exchange events or volunteering can be a step in the right direction if you’re looking to get involved in your local community. Moving to a new country is inevitably a nerve-racking (but at the same time exciting) experience. At times, you will want to escape into the pleasant familiarity of watching your favourite TV show or Skyping with your friends and family back home. But try not to make a habit of staying indoors and avoiding your surroundings. Instead, try to make the first few months of your stay your own personal mission to embrace the language and the people. Make the most of every opportunity to meet people, accept every invitation and invite others to your home. Explore your interests and you will inevitably find like-minded people. Italians respect their lunch break and a lot of businesses close during lunch hours. This is something to keep in mind if you are looking to get some shopping or errands done at this time of the day. But don’t worry—this is a peculiarity that you will get used to and soon you will count yourself among those enjoying the virtues of a sit-down lunch. As mentioned before, things in Italy tend to happen at their own pace and this extends to social gatherings too. In Italy, being late is the norm. If you’re meeting with friends and acquaintances, expect them to take their time arriving—anything up to half-an-hour is within etiquette. And if you’re going to a party, you can never be too late. In Italy, it is best to arm yourself with generous amounts of patience. Italy is a truly magnificent country with many charms. Just keep in mind these methods to embrace your new surroundings and you will become a fully-fledged local in no time.